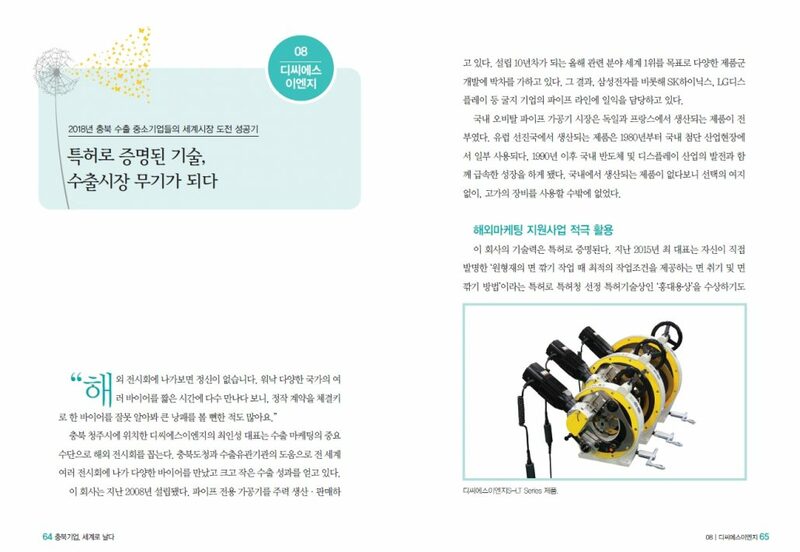 [ARTICLE] DCSENG's story is posted on "Chungcheongbuk-do Province magazine"
Today we would like to tell you that our story is posted on "Chungcheongbuk-do Province magazine". As a promising exporter in Chungcheongbuk-do province, it tells the story It is about DCSENG's story that how to enter and expand overseas market. Please click the image for more information.